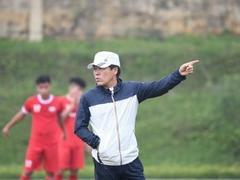 HA NOI — Saigon Heat suffered their second-straight loss on Wednesday in a match that saw the hosts’ best performance of the season. Their visit to Hong Kong Eastern’s Southoun Stadium was their third match away from home in a row. 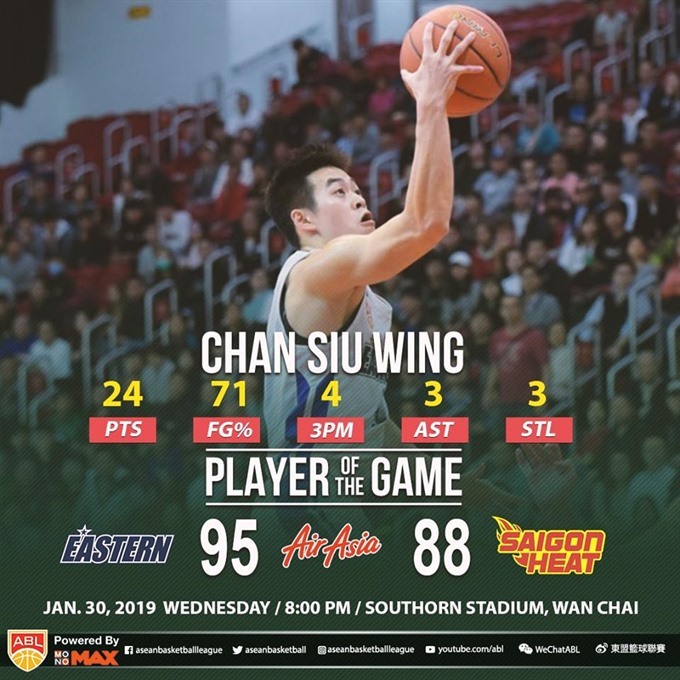 The two sides chased points from the beginning but under strong home support and Chan Siu Wing’s performance, Hong Kong Eastern took the lead at 32-26 by the end of the first quarter as Siu scored 17 points. Coach Kyle Julius tried to make changes in his line-up, strengthening the Heat’s defence in the second quarter. They narrowed the gap to 49-53. The situation continued in the next quarter and the score was narrowed to 72-69 for the hosts, raising the Heat’s hope to strike back. However, their key players Kyle Barone and Trevon Hughes suffered injuries and were sidelined. Without their leading scorers the Heat failed to close the gap. They left Hong Kong with a final 88-95 defeat.